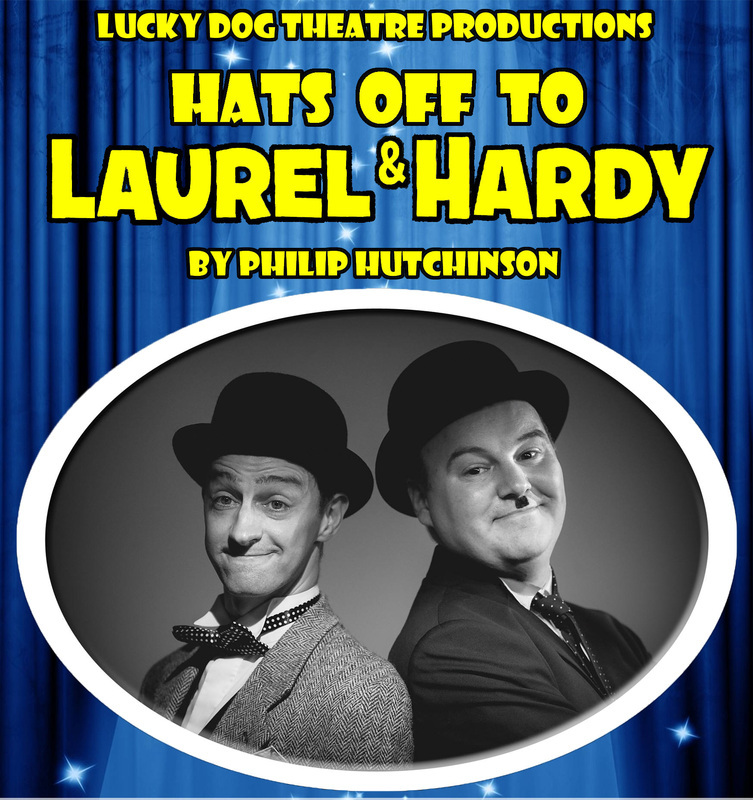 The main piece Lucky Dog are touring is 'Hats Off To Laurel & Hardy'. 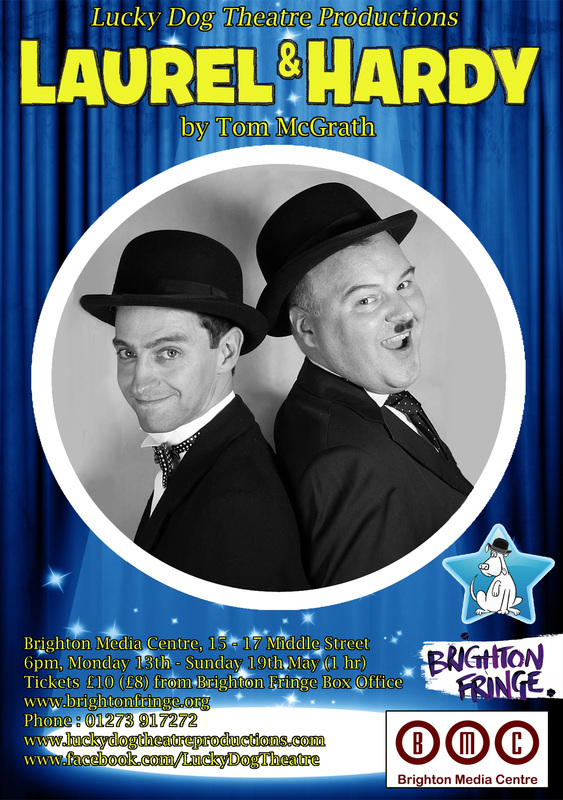 Beneath that you will find information and trailers for the shows that are also part of the Lucky Dog touring canon (please note that the Tom McGrath 'Laurel & Hardy' was only performed at Brighton Fringe in 2013 and cannot be booked). Just click on the contact button at the top right of the page. It's been half a century since Stan Laurel and Oliver Hardy died. There is good reason why they are the best-loved comedy duo of all time. They were the pioneers of modern comedy and their movies have delighted generation after generation for almost 100 years. 'Hats Off To Laurel And Hardy' is a brand new show about the lives of Arthur Stanley Jefferson (Stan) and Norvell Hardy (Ollie). It will guide you through their early lives, their steady rise to international stardom, the decline of their movie careers and their phoenix-like revival on the stages of Europe. It details their commitment to their work, the appreciation of their fans, the love of their wives and - most enduringly - their unerring devotion to each other. Expect recreated highlights from their huge canon of work, accompanied by a little singing and some questionable dancing. Lucky Dog's continuing national tour plays to packed houses and standing ovations. Prepare to laugh your socks off before finally having your heart broken. Lucky Dog Theatre Productions are generally regarded as being the best Laurel and Hardy re-enactors in the world. Their popular biopic 'Hats Off To Laurel And Hardy' has won awards and played to full houses and standing ovations throughout the UK and into America, Germany and the Czech Republic since 2013. They have also played many conventions and events with other (often very rare) material that Stan and Ollie once performed on stage, newsreels, records, lost footage and even scripts that were never filmed. 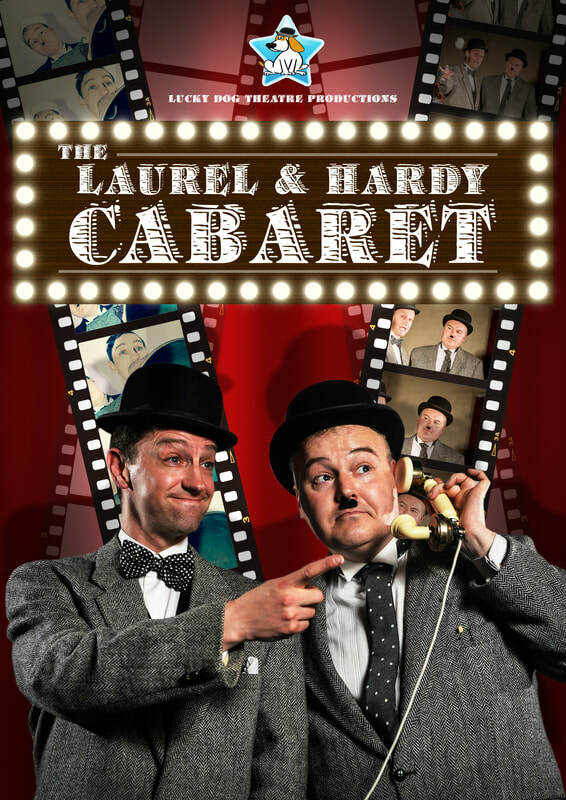 'The Laurel & Hardy Cabaret' is a bumper package of these routines, songs and dances linked with accurately recreated film inserts from The Boys' 30-year career. Featuring some classic movie sequences, along with some hilarious Music Hall sketches the pair toured in the 1940s and 50s, you will be transported back to a more innocent time - yet still be amazed at how current their comedy remains. Take a seat and have some hard-boiled eggs and nuts washed down with soda... soda... soda... and what will you have, Stan? At 8:17pm on 3rd March 1943, the air raid sirens sounded in Bethnal Green, East London. People made their way through the rain to the deep shelter in the partially-built tube station. At 8:27pm, a salvo of rockets sent up from nearby Victoria Park caused a rush to the small entrance. In the darkness, a woman tripped and fell and within seconds 300 people were crushed on the staircase. 173 people, most of them women and children, died. Cutbacks in official staffing and the provision of safety were partly responsible for what happened that night. It was the largest civilian disaster of the Second World War, but - to preserve morale - it was covered up by the Government and the truth only emerged after the end of the hostilities. Few people in the area escaped without losing a family member, friend or neighbour. Lucky Dog Theatre Productions expand their canon with this brand new play, written with the backing and support of The Stairway To Heaven Foundation. Two actors will play a variety of roles, often quoting verbatim survivor testimony. In the space of an hour, the audience will experience the claustrophobia, smell, sounds and darkness of the shelter and the tragedy in this disturbing immersive experience. Joseph Merrick (better known as The Elephant Man) is possibly the most famous ‘freak’ in history. Many stage plays and the popular film have told a romantic and often fictional account of his story. 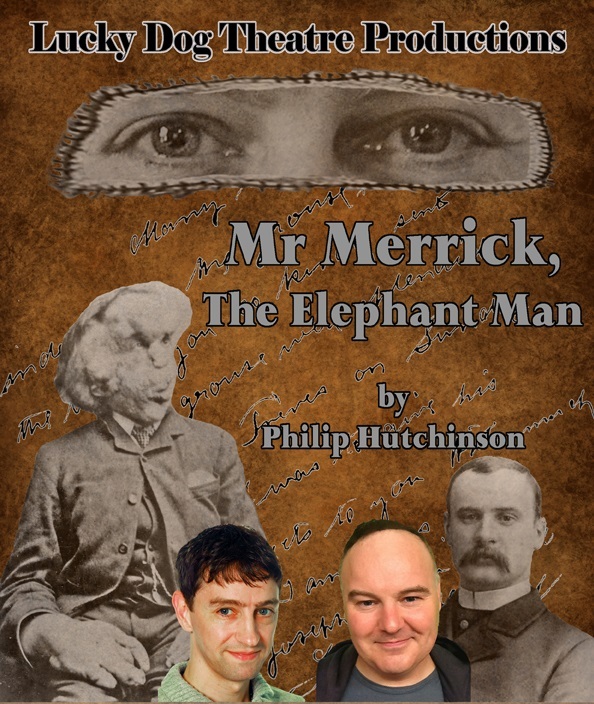 ‘Mr Merrick, The Elephant Man’ is the first play to actually only deal with the known facts about Merrick’s final years in The London Hospital, Whitechapel and his complicated relationship with his doctor, Frederick Treves. With a cast of just two, the use of interactive video projections and a soundtrack consisting entirely of actual Victorian recordings, the show has been marked as a 'must see' at several Fringe Festivals by leading review sites. Painstakingly researched and written with the support of Merrick’s biographer, expect to be enlightened and moved by the stirring true story of ‘the most remarkable creature ever to draw breath’. The story of the lives and loves of the iconic comedy duo, told from the afterlife. From their very different beginnings to their meteoric rise to fame, the play tells their story in a funny, touching, yet bittersweet way. In true Laurel and Hardy style there is plenty of slapstick to bring smiles to even the sternest faces. London, 1888: Jack the Ripper is killing Whitechapel prostitutes. 125 years later, all most people know about this serial killer are myths and theories. Philip Hutchinson is an author, guide and lecturer on the Ripper murders and regarded as a world authority on the case. He'll tell you just the facts, with some unexpected laughs thrown in.